Attached is a wonderful reference guide published by the City Bar Justice Center titled Understanding Reaffirmation Agreements. 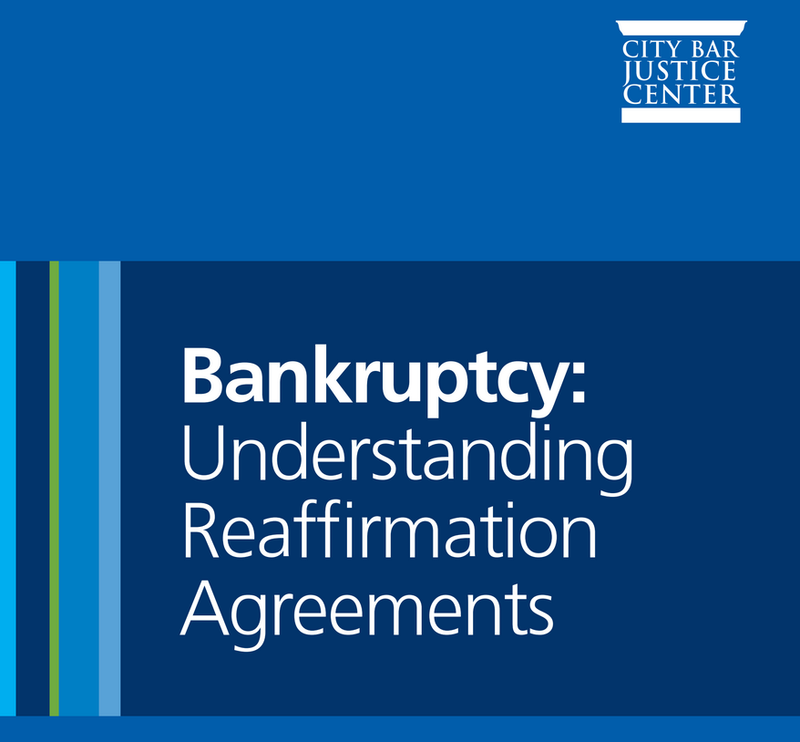 A reaffirmation agreement is a contract between a debtor and creditor wherein the debtor agrees the creditor’s debt will survive the bankruptcy discharge. The authority for entry into a reaffirmation agreement can be found in 11 U.S.C. §524(c). Debtors and creditors alike are typically barraged with misinformation regarding when reaffirmation agreements are appropriate. In the case of secured debts, like car loans, borrowers may want to protect their rights to retain the collateral by voluntarily reaffirming the debt. Most of the time (at least with major commercial lenders) debtors and their attorney will receive a proposed agreement soon after the case is filed. Whether a reaffirmation agreement is appropriate is determined on a case-by-case basis after consultation with your attorney. When in doubt, call us. 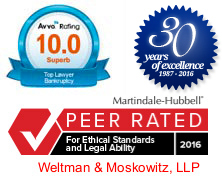 Richard E. Weltman and Michael L. Moskowitz founded Weltman & Moskowitz, LLP in 1987. Weltman & Moskowitz, LLP is a business, creditor’s rights and bankruptcy law firm serving clients in New York, Long Island, New Jersey and beyond. The firm concentrates on lender’s rights, corporate insolvency, resolution of commercial disputes, foreclosures, loan workouts and modifications, shareholder and partnership contests, business divorce, dissolution, and business and bankruptcy litigation, arbitration, and mediation of all types. Michael and Richard may be reached at 212.684.7800, 201.794.7500, or via email at mlm@weltmosk.com or rew@weltmosk.com.